campervan hire new zealand for australians: Rotorua and Taupo- New Zealand in a Campervan. Rotorua and Taupo- New Zealand in a Campervan. Explore all the wonders of the thermal region of New Zealand in a campervan. Book any Spaceships vehicle by 31st January 2012 for travel from 1st April 2012 to 31st October 2012 and get 15% off base rental rates. At Motorhome Republic we are specialists in motorhome rental and road trips - we offer the lowest prices and our friendly team are there to help you plan your ideal getaway. Book the campervan deal at Campervan hire sale finder. The thermal region of New Zealand holds an interesting smell but is the tourist central of New Zealand. 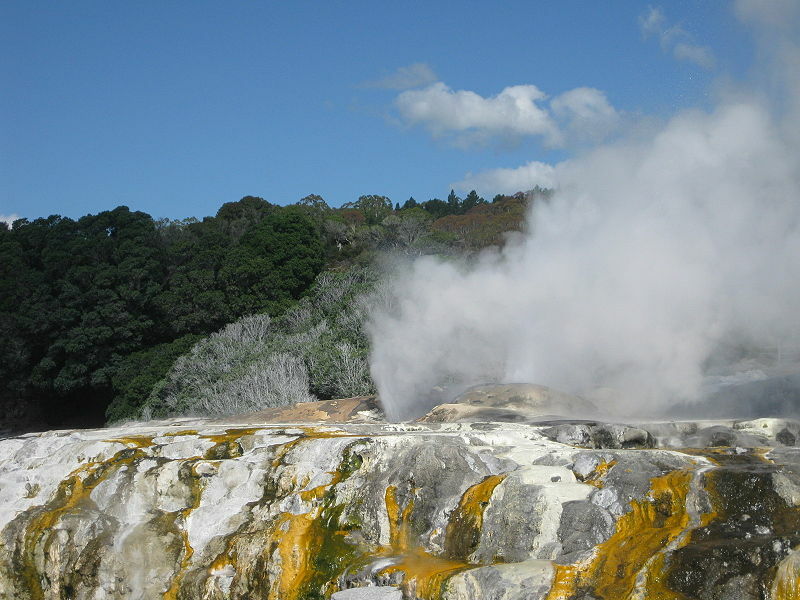 Learn about the interesting thermal goings on in Taupo and Rotorua and then bathe in the balmy thermal waters or healing mud baths. Among many adventure activities on offer in Rotorua is the zorb; roll down a huge hill in a giant blow up ball. Or you can pat some baby Lions. Go bungying in Taupo and visit nearby Matamata, otherwise known as Hobbiton, home to Frodo and Sam.